The Cannabis Act is here and the world’s largest cannabis company continues aggressive expansion into hemp. 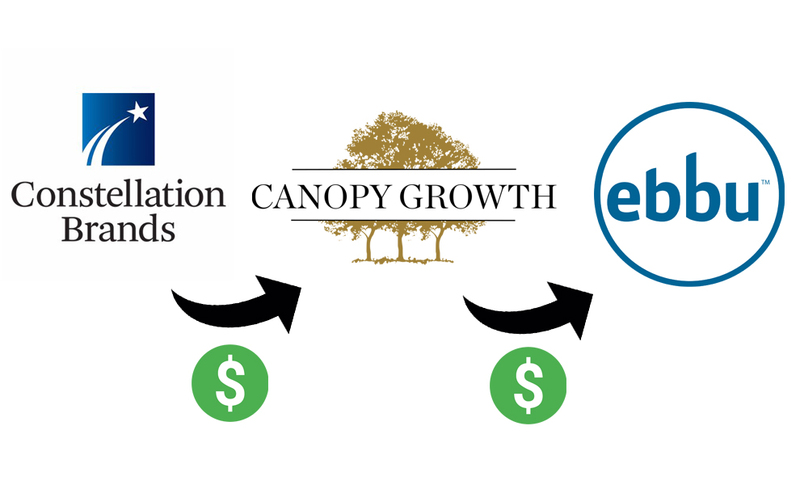 Canopy Growth Corporation (“Canopy Growth” or the “Company”) (TSX: WEED) (NYSE: CGC) announced it has entered into an agreement to acquire the assets of ebbu, Inc (“ebbu”), a Colorado-based hemp researcher. The transaction will complement and accelerate multiple core verticals operating under Canopy Growth’s group of companies, and further demonstrates Canopy’s M&A strategy to acquire hemp cultivation and processing capacity, and intellectual property. According to the company’s press release announcing the deal, Canopy Growth will pay ebbu at closing (slated for November 2018) CDN$25 million in cash and issue 6,221,210 Company common shares (“shares”) in exchange for the assets being acquired. Up to a further CDN$100 million will be payable if certain milestones are achieved within two years following the closing. Canopy Growth will have the option of satisfying such milestone payments in cash, shares or a combination of cash and shares. Without knowing the restrictive provisions and lock-up period for the shares, it is difficult to fully analyze the deal and how the timing of dilution will impact investors. But after converting from CAD to USD, the current deal total is USD $19 million to ebbu at closing, 6,221,210 shares (assuming a $50/share price), and a milestone bonus that converts today to $76.88 million as an earn-out bonus. The deal total can be represented then as an approximate $330 million dollar deal with a $77 million dollar earn out bonus. The transaction requires regulatory approval, including approvals by the Toronto Stock Exchange and New York Stock Exchange and will give rise to ongoing disclosures required by CSA Staff Notice NI 51-352 for US transactions. Canopy Growth operates a recently acquired hemp operation based in Saskatchewan and by applying ebbu’s IP, Canopy has the potential to vastly reduce the cost of cannabinoid production for cannabidiol (CBD), cannabigerol (CBG) and cannabinol (CBN). “Really we’re in the cannabinoid business, not the cannabis business,” says Mr Cooper. It remains to be seen how the acquisition will impact ebbu’s current partners and clients. CERIA Beverages, an Arvada Colorado-based company lists ebbu as a partner featuring its proprietary cannabinoid science. CERIA was co-founded by Keith Villa, Ph.D., the creator and head brewmaster of Blue Moon Brewing Company. The company lists Intercontinental Beverage Capital as partner with ebbu. “CERIA beverages is aware of the ebbu-Canopy development and we are continuing to move forward with our plan to introduce the world’s first, true cannabis-infused de-alcoholized craft beer in the US market before the new year. Our expectation is that CERIA will be the foremost brand in this new and exciting market segment,” said Jodi Villa, CERIA’s CEO and co-founder. And more, the announcement of the acquisition comes days after Canopy Growth announced completion of a legal transfer of cannabis products to the United States pursuant to an import permit issued by the federal United States Drug Enforcement Administration (DEA). The shipment was completed for the sole purpose of supporting medical research and development. Jim Cramer spoke with Bruce Linton (CEO of Canopy) and Bill Newlands (President and COO of Constellations Brands) in a wide-ranging interview discussing Canopy’s U.S. legal cannabis transfer, plans for cannabinoid infused Gatorade-like drinks, international expansion and why Linton and Newlands think cannabis could disrupt global industries and become a $200-billion-a-year business. The aggressive expansion for Canopy is expected to continue with Constellation’s “cannabis architect” now set to take the reigns of the company. The Wall St Journal reported today that Newlands will become Constellations CEO in March 2019. Constellation upped its bet on the cannabis industry in August announcing an additional $4 billion stake in Canopy. With the second investment and the execution of warrants, Constellation reports it has a 38 percent stake in Canopy. Constellation’s first investment of $200 million – for 9.9 percent of the company – occurred in October 2017. Constellation has the opportunity over the next three years to buy up to 139.7 million in new shares, which would represent up to $5 billion in additional funding. If the warrants are used, Constellation could own more than 50 percent of Canopy. One things is sure—the future for ebbu, Canopy and Constellation will be full of cannabinoids served in all kinds of consumer product branded beverages. Many of those cannabinoids (excluding THC) now look very much like they will be coming from hemp.